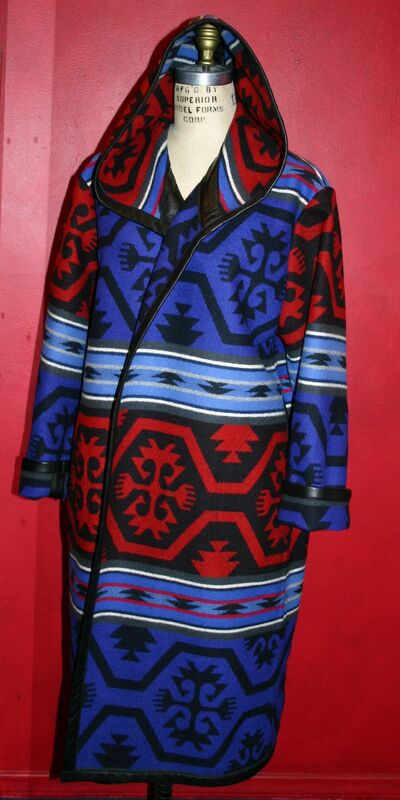 This is a coat we have made for years. 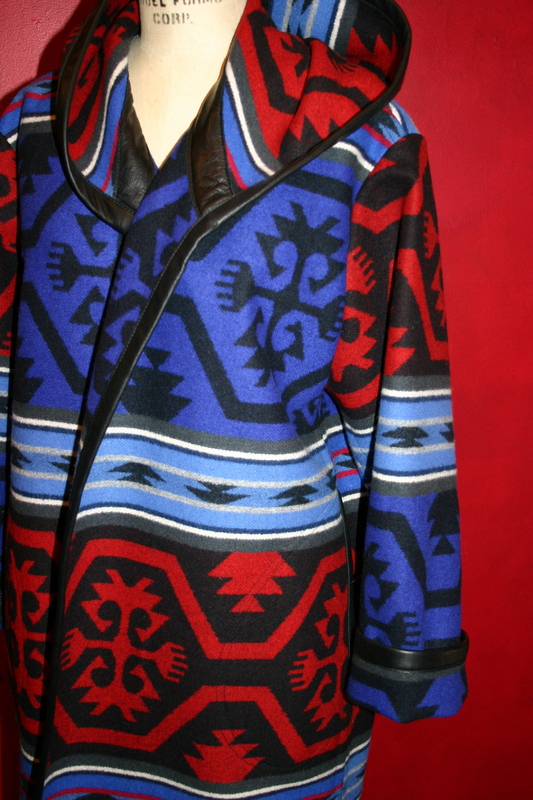 You will see that it can be made with a hood or with a wide shawl collar covered with leather. 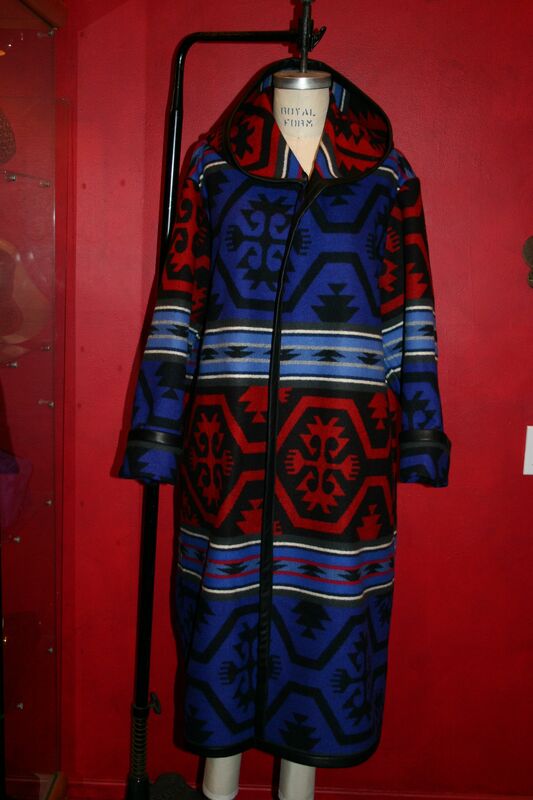 The coat can be made in Women's sizes or Men's sizes. It is a loose fitting and wrap-around style, calf to ankle length. The patterns and colors are based on what is available when you order. Our favorite blanket fabric is made by Pendelton and is a wool blend, but there are many other varieties to use as well. The coat comes with a long wrapping belt that is held in place with belt loops so that it can be worn with or without it. Looks great when hanging open, or wrapped and tied with the belt. This can be a warm coat for cold weather and snow, and is great because it is roomy enough to layer clothing underneath it. We had a client who used it as a bathrobe...in fact we do make a fleece version of it that is perfect for a robe! 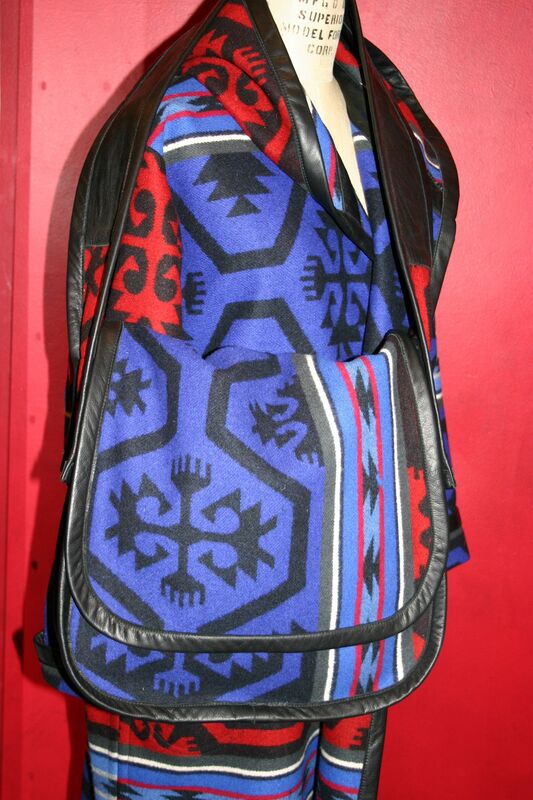 -ask for details- Also shown is a messenger styled bag also in blanket material with leather details and trim, look in our bags product pages (mens and womens) for pricing. Made by custom order only.